Computers are excellent things, and not just for typing or making spreadsheets; they’re great for making music too. The triumvirate of keyboard, mouse and monitor just makes flying around your DAW a breeze. Plugin windows float semi-transparently over the mixer page; samples are dragged from browsers and dropped onto virtual drum pads, ready to be played with your controller, and MIDI piano rolls are expanded to full screen and zoomed so you can get to grips with your note programming. But is that the only way to do it? No, it’s clearly not. There are plenty of people who still produce on individual pieces of music production hardware, sequenced with standalone sequencers. For those who are disciples of the computer-based DAW, should you consider sacrificing your well-honed workflow to step away? No. We don’t suggest you sacrifice anything. If you’re happy and productive with your computer, stick with it, but why not consider a separate piece of hardware as a creative and inspirational tool, rather than as a production tool? What is the secret to finding that perfect relationship between your inspiration, your DAW, and external music production hardware? Akai MPCs, Roland samplers like the SP555 and SP404SX, Korg’s Electribe range and many more offer a way to step away from the computer and make music. You might find that just sitting with a groovebox and a pair of headphones at the kitchen table means you make judgments based on what you hear, rather than what you see on your monitor. You might come up with things you just would never normally do sitting at your computer. Just as importantly though, it’s fun and it looks cool. Where battery power is an option (e.g. with the SP404SX and Akai MPC500) you can take your music-making anywhere. Now, you can of course do that with a laptop or an iPhone, but people might just think you’re making a pivot table or playing Angry Birds. With a groovebox, you’re a cool hipster musician. Why not split the difference? 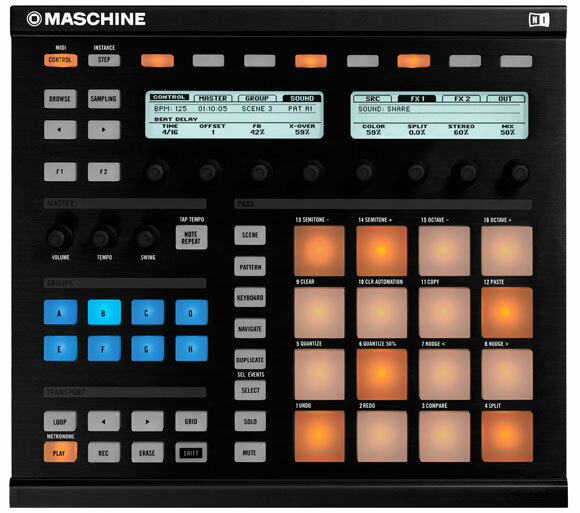 Native Instruments’ Maschine and the Akai MPC Studio and Renaissance are designed to offer the advantages of standalone hardware, with the convenience of working through your computer. Use them in their standalone modes, make some patterns, then import into your DAW; it’s maybe the best of both worlds. But, to finish, we must reitirate that all important point: it looks cool.